CLEVELAND, OH – Sherwin-Williams Product Finishes Div. introduces Kem Aqua BP Siding Plus, a performance siding coating that provides an enhanced finish compared to “machine finishes” in terms of appearance, application, hardness and drying time. It can be applied to a wide variety of substrates, including plastic/composites, wood and fiberglass for both exterior and interior use. Aesthetically, Kem Aqua BP Siding Plus resists color- and gloss-fading for an attractive, long-lasting finish. It resists chipping and cracking and is available in a wide range of colors. Solar reflective technology is optional for heat-sensitive substrates; it repels heat in dark colors and helps prevent warping and bowing that could result from exposure to sunlight. Kem Aqua BP Siding Plus can be applied using a variety of coating methods, including curtain, flood and spray coating. It also dries to a harder finish faster than typical machine finishes, providing excellent adhesion and enhancing stackability. Field touch-ups are fast and easy. Available limited warranties extend up to 25 years. It is a waterborne product with low VOC (1.0 lbs/gallon, less water) and low HAPs. 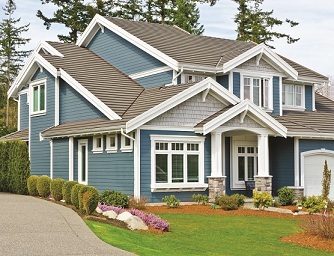 Available through Sherwin-Williams Product Finishes facilities throughout North America, Kem Aqua BP Siding Plus is backed through on-site technical support and custom finishdevelopment. For more information, visit OEM.Sherwin.com. Source: Sherwin-Williams Product Finishes Div.